This review was written in Naarm on unceded Wurundjeri country, Kulin Nations. Always was, always will be Aboriginal land. 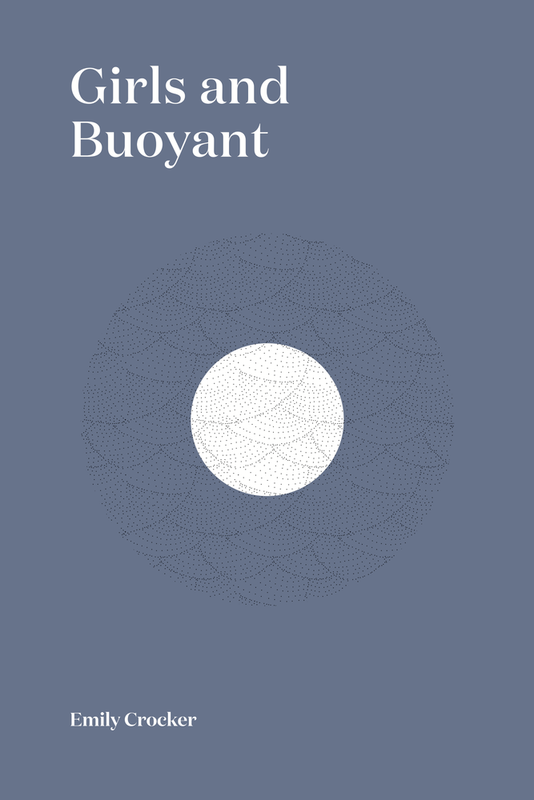 poetry and one’s understanding of it is not singular – out of necessity, it cannot be. It occupies a state so multiple that its plurality cannot perhaps even be intellectualised in a way that is fathomable, much like this very sentence is attempting to do. To understand a poem, any poem, is an ongoing process, one where diversion and distraction and delay are perhaps requisite for it to continue moving. I have returned again, and again to this reminder reading the work of Aisyah Shah Idil, Allison Gallagher and Emily Crocker published in September 2017 by ‘Subbed In’, an independent literary organisation based Sydney. Subbed In produces regular readings, workshops and associated publications, providing grassroots support for new and underrepresented voices, helping to find publication or performance for emerging writers. Emily Crocker’s poems tell of visiting your family out of town, a ‘kaleidoscope of decaffeinated instant / and forbidden nail-polish remover’ (28), they are concerned with the (changing) environment and western settler notions of ‘nature’: ‘I’m waiting for a way to see the earth / not as a tourist’ (23) and the intimate language of eating with someone familiar: ‘ritual back and forth / of olives off your pizza’ (15). nevertheless you hold them closest, ‘rocking [their cells] apart, / together until the pharmacy reopened’ (43). The poem is a moment of assisting a friend in suicidal ideation or motive (being present, holding, catching) whilst moving through heavy feelings (the graphic memoir Eyes too Dry by Jessica Tavassoli and Alice Chipchin comes to mind). Claiming to understand this poem (particular experience of time), aspiring to ‘get to the bottom of it’ flattens the acute nature (subjectivity) of its content. Repeated readings of such flashes (contextual memory and trauma) are rhyzomatic in nature, they exist as excess and through the falsity (gift) of language, folding out, leaky, sometimes lodging in an organ of the body or breath. How language can be give and a limit in thick, white-hot time. ‘Covers’ reminds me of moments I have experienced, it triggers stories or traumas shared by friends. It probably operates differently for Crocker and the next person who will read it maybe after me. Which is good and real and the iridescent bottomlessness of relation, meaning. Interestingly (funnily) enough, the end seems not bleak but daggy, this weird queer failing miserably at being the calm, smooth, collected ex, embracing an anti-cool demeanour, quite punk. Well … one does not understand any poems, and maybe by that I mean, one does not fathom it, or get to the bottom of it. Keeping my interpretation of Galllagher’s poem’s open feels an important project, but I’ll say it’s nice witnessing their Very Specific Truth through the pages. Their one very specific truth doesn’t mean it lives in isolation, but rather is relational, built through interactions with social, intimate, historical structures that have placed each of us alive right now. Just as identity is relational (it is made with/by your community) and ancestral, in collaboration with an internal felt sense of who you are, I see Parenthetical Bodies in a web-structure of literature from punk-queers and dry-humoured sad loners, creating space for other (othered) bodies and experiences. 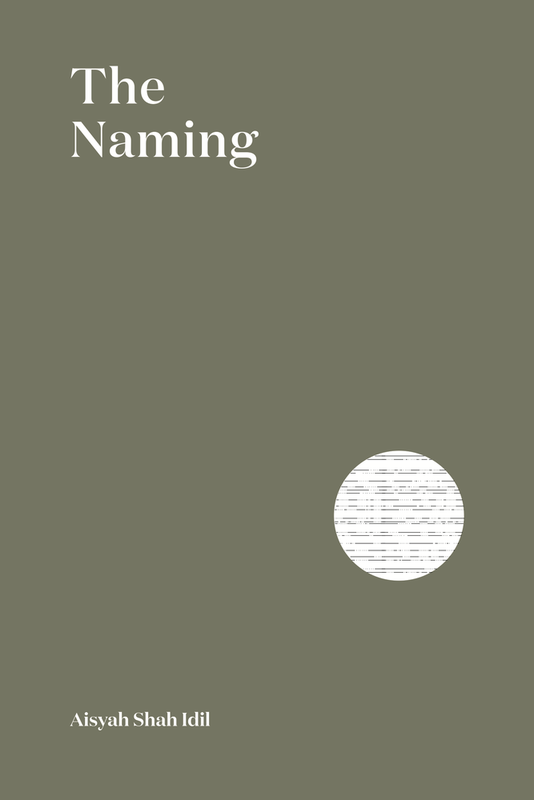 The third chapbook in Subbed In’s first set of chapbooks is The Naming by Aisyah Shah Idil. The poems in Aisyah Shah Idil’s first collection are spaces of bilingual story, Malay-Australian cultural heritage, childhood scenes from south-western Sydney, familial musings; redaction, imagining-into, retelling memory. representing the way cultural and ancestral stories (truths) impact how she moves through the world with her ‘old anxiety’ and her ‘[breath] in small, sharp / exhalations’ (39). The shifting, (moving),(evolving), disappearing, (obscured) nature of ancestral memory and language inheritance is explored in ‘Malay Sketches’, a three-part poem titled ‘Jiwa’, ‘Malay’ and ‘English’. ‘Malay Sketches’ charts the poet’s gain/loss of language following the British colonisation of Singapore. Mirrored in three columns, the first poem’s silence shows Shah Idil’s unknowing of the Jawi script; the second mourns the gradual loss of her Malay mother tongue, while the third celebrates childhood scenes in Lakemba, Sydney. Words redacted show her lack of knowledge (gaps) through black block-out. Comprehending, losing hold of, then being exiled from a language is the parasitic-colonial tool of English; how words, ways of saying (speaking), ways of understanding seek to infiltrate (permeate) the mind, breathe, tongue and mouth of the colonised body. I do believe that worlds exist within lines of a poem and a golden one lives here. 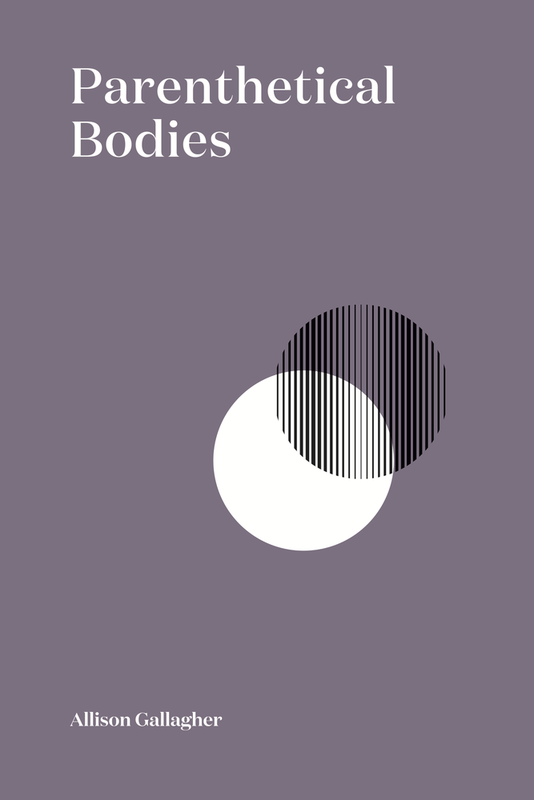 An acute attention to ‘droplets’, ‘toe’, ‘forehead’ and ‘soft dough’ describes the movement of children’s bodies through play, sleep, Islamic practice and prayer. On the page, ‘The Essay’ is a series of brief footnotes spanning three pages. There’s space on the top half of each page where the body of the text is missing (blank, lifted). Size of the footnote’s text is tiny (statements the author wishes she’d said, secret, only meant for certain ears, angers, griefs). The second footnote: ‘With white people,’ says the narrator’s mother, ‘Simple. Just ask their names and / tell jokes. Or else they get too nervous too easily’ (19). This seems a reflection on the respectability that first generation migrants teach their children, to be palatable for white people in an attempt to avoid vitriol. It’s a jeer in the face of that particular tool of White Supremacy, saying, if you just learn their name and make them laugh they’re happy. A speaking-back stanza, looking the one-that-inflicted-violence right in the face and asking, do you have any idea who my mother is? Are you, are you aware of what my mother has held inside her? It reminds you of the Denice Frohman poem ‘Accents’ in which the artist describes that ‘English sits in her [mother’s] mouth remixed’, that ‘her tongue can’t lay itself down flat enough / for the English language’, reminding folks that ‘my mama’s tongue is a telegram from her mother’. It’s also a prompt: to have an accent is to be bi and/or multilingual, to move through language in different tongues, the borders your family has crossed, seeking home, safety, education. In both ‘Accents’ and this stanza of ‘The Essay’, Frohman and Shah Idil pay tribute to the strength, versatility and iridescence of their mothers for whom English is second language, centring, honouring Brown woman in narratives of violence. Reading ‘The Essay’ is an active process of imagining-into, or seeing further (is each footnote relevant to the one below, is one to read the half-blank page as a signifier of the original text having been lifted?). What’s there/what’s not. For example, which photograph is being referred to on the second page under the fourth footnote: ‘This photograph was never found’ (20). We don’t know (the reader) but the moving (it intrigues) image of that photograph creates a collective energy from each of those individual thoughts, a wave or urge: breath. The point of view, or the stance that you take is the expression of your time, is the expression of the contemporary energies around you, and I don’t think one can necessarily have an objective understanding of that. Thinking and feeling through the work of Aisyah Shah Idil, Allison Gallagher and Emily Crocker at this particular moment of time, has opened space; activating language, words, grammar, paper and energy with their truths and generosity. Crocker, E. Girls and Buoyant 2017. Subbed In. Sydney, Australia. Frohman D. ‘Accents’. Online. 2013. https://www.youtube.com/watch?v=qtOXiNx4jgQ Live at the Nuyorican Poets Cafe. Accessed November 2017. Gallagher, A. Parenthetical Bodies. 2017. Subbed In. Sydney, Australia. Shah Idil, A. The Naming. 2017. Subbed In. Sydney, Australia. Tran, C. ‘I have never understood a single poem’: Chi Tran Interviews Mei-mei Berssenbrugge’. Online. 2017. http://cordite.org.au/interviews/tran-berssenbrugge/3/ Accessed November 2017. Frankie Hanman Siegersma is a queer radio producer, editor, poet and essayist living in Narrm (Melbourne) on Wurundjeri country. Poems, essays and interviews of theirs have been published by Cordite, Australian Poetry Journal online, Suburban Review and Hunter Anthology of Contemporary Feminist Poetry.